Stodden Park located in Butte, Montana has been a source of entertainment and enjoyment dating back to the 1950s. Multiple memorable events took place at the former Corette Pool (named after Elsie and Jack Corette for their generous 1969 donation), tennis court facility, and the Highland View Golf Course. Although the strong spirit of the original park remains, some of the park amenities have severely deteriorated over the years. 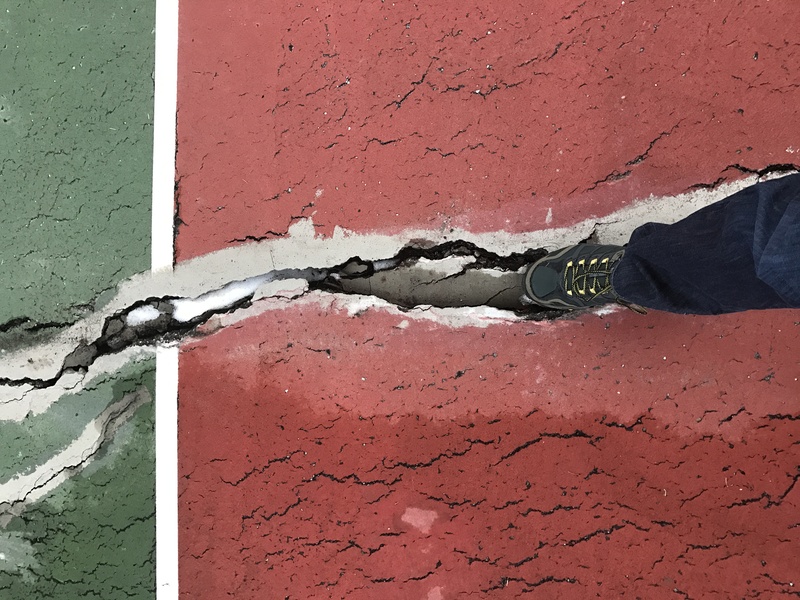 Only three (3) out of the six (6) tennis courts are playable due to settling issues. The Corette Pool facility was closed in 2005 due to leakage problems and increasing maintenance costs. In attempt to revive Stodden’s outdoor pool facility, a bond issue for a water park was presented to the people of Butte but was rejected by voters in 2011. The idea of replacing the pool with a water park was revisited and an $8.7 million bond was successfully passed by the people of Butte in 2016, with the help of a $500K donation from Town Pump, as well as other donations from, including but not limited to, CCCS, The Tourism Business Improvement District, Swank Construction, Markovich Construction, McGree Corporation, Glacier Bank, Ray Ueland and the O’Keefe family. Construction of the new water park is underway and the facility is scheduled to open in the summer of 2018. Another new development at Stodden Park is the construction of the Spirit of Columbia Gardens Carousel. Former Copper King William Andrews Clark built Montana’s first and only amusement park as his gift to the city. Sadly, the park was demolished in 1973 due to a tragic fire. A group of volunteers have spent the last two decades raising money with a mission of constructing and operating a Columbia Gardens themed carousel to pay tribute to the original Columbia Gardens. Construction of the carousel started in 2016 and the facility is scheduled to open for business in 2017. To further enhance Stodden Park, Butte-Silver Bow (BSB) received a generous donation from the Dennis and Phyllis Washington Foundation in the amount of $2.5 million for designated improvements to Stodden Park. These improvements are collectively known as the Stodden Park Central Improvement Plan (CIP). 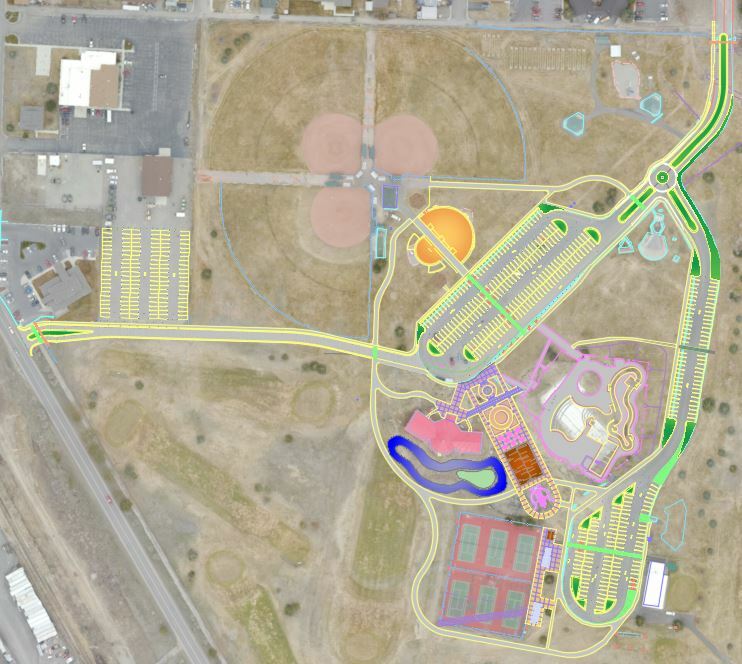 This plan includes the design and construction of a commons area between the new pool and carousel facility, a playground, picnic shelters, renovations to existing tennis courts, utility improvements, additional parking, enhanced traffic flow, storm drainage improvement, irrigation and landscaping improvements. The team of Water and Environmental Technologies (WET) and Steiner Thuesen (ST) landscape architects was selected by BSB to complete the CIP project. WET and ST have been working closely with BSB and the pool and carousel teams to ensure a seamless tie in between each project. The storm water design for the entire park will be completed under the CIP scope of work and will address multiple drainage issues that have been an issue for years. The CIP design team has also proposed an additional access and significant new parking throughout the park. Rerouting of existing utilities will be completed to accommodate all current and anticipated projects. Lastly, new landscaping and irrigation will be designed to accommodate all the new features at the park. The CIP project is scheduled to go to construction in Fall of 2017. WET is excited and honored to have an opportunity to help restore one of Butte’s signature parks! Butte High Bulldogs Defend New Turf at Naranche Stadium! Butte High School got some new turf to defend this fall at their historic Naranche Stadium. The Butte School District hired WET to oversee the team of Academy Sports Turf and Shaw Sports Turf to install a synthetic playing surface at Naranche Stadium in 2016. The new sports turf replaced the not so lively natural grass turf that has graced this hallowed field for many decades. WET worked closely with the Butte School District, Academy Sports Turf, and Shaw Sports Turf to ensure the new turf field was installed correctly and connected seamlessly with storm water infrastructure in the area. The area suffers from chronic flooding due to undersized stormwater infrastructure. Runoff from the field was a major contributor to the past flooding events, so it was imperative to design a new stormwater detention system to decrease turf runoff peak flows and to integrate the detention system without impacting the new turf. WET successfully designed a system using subgrade detention under the turf. Mother Nature tested the detention system soon after the project was complete and it successfully detained flow from a major storm event. WET completed a pre-construction topographic survey of Naranche Stadium with an Unmanned Aerial Vehicle (UAV). The UAV survey provided extremely detailed data that WET used to construct a 3-D surface model and produce grading plans, GPS machine-controls design files, and storm water design. Below is a UAV flight video of Naranche Stadium after the turf installation was complete. The video was constructed using the 3-D point cloud data collected by the UAV. The UAV also collected high resolution air photos. Below you can see before and after photos of Naranche Stadium. The Naranche Turf project was a great team effort between the Butte School District, WET, Academy Sports Turf, and Shaw Sports Turf. Local contractors were used for excavation, concrete, electrical, and irrigation. The result of the project is a state-of-the-art playing field that adds to the already fantastic stadium at Naranche. The community of Butte is excited to cheer-on and watch their beloved Bulldogs defend the new Naranche turf!